What an awesome thread of possibilities with systainers! OK - I need to get into the workshop and seriously work on my organization. My Dewalt 20volt drill & impact in a Systainer 2 with drawer and lid sort. I set this one up a few years ago and it is used every day so it shows. 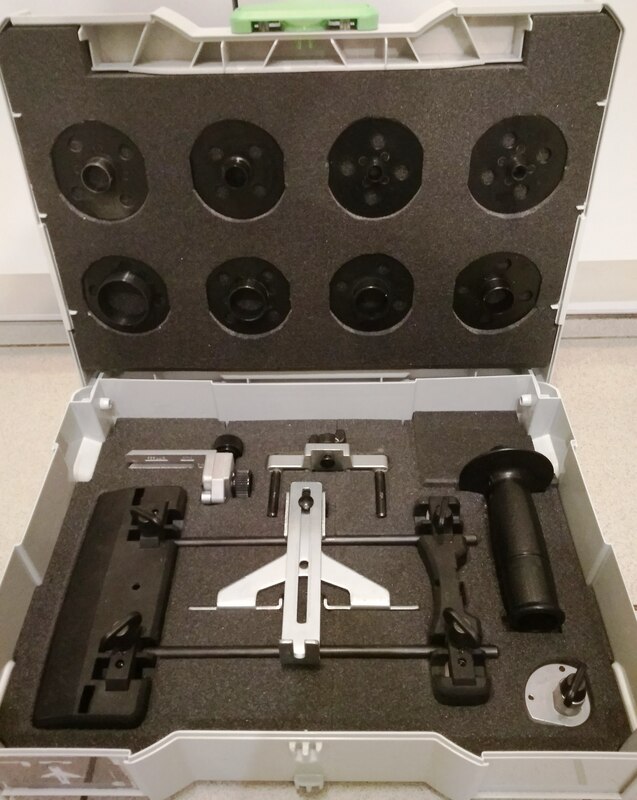 All of my small hand tools are kept in three sortainer SYS 4s. This one is my everyday tools and has ALOT crammed into it. I have tried to organize it better but can never fit as much in it so I just pile everything in. I know where each tool is, it is just a matter on moving stuff that is on top of it. I keep this box and my drill kit in the last photos where I can get to them from the sliding door of my van without getting in the van. They are actually on a cart/mobile workbench that I will take inside with me on some jobs. The other 2 sortainer SYS 4s have my less used tools and are kept up on the shelves inside the van. This last one I'm looking for suggestions on. 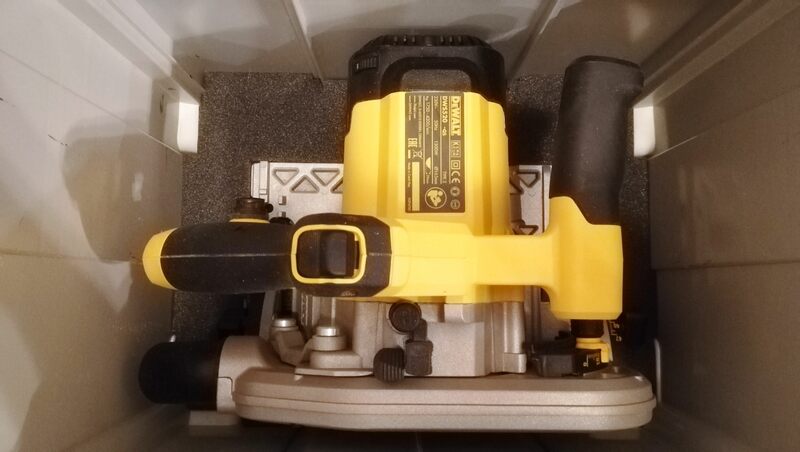 I have my Dewalt 20volt 16 gauge and 18 gauge nailers in a systainer (I think it is a sys4 but might be a sys5?). I wanted to build a plywood caddy/insert for them but the lid just barely closes now with the slim batteries in the guns. Does anyone have a good dewalt nailer setup with both guns, charger, spare batteries, and nails in one systainer? I have tied a few ways of putting them in and his was the only way I got both to fit and it is tight height wise. Quick shot of the inside on my van with most of my systainers. It is still a work in progress but I'm almost done. I did start a thread on this built awhile back, I need to get some time to get good photos of the almost finished build and update that thread. How do you prevent them from sliding out if you take a fast corner?? There is a stop block so the shelves don't slide out and there are recesses in the shelves for the feet of the systainers. So far none have fallen out. Nice van build Trucks. 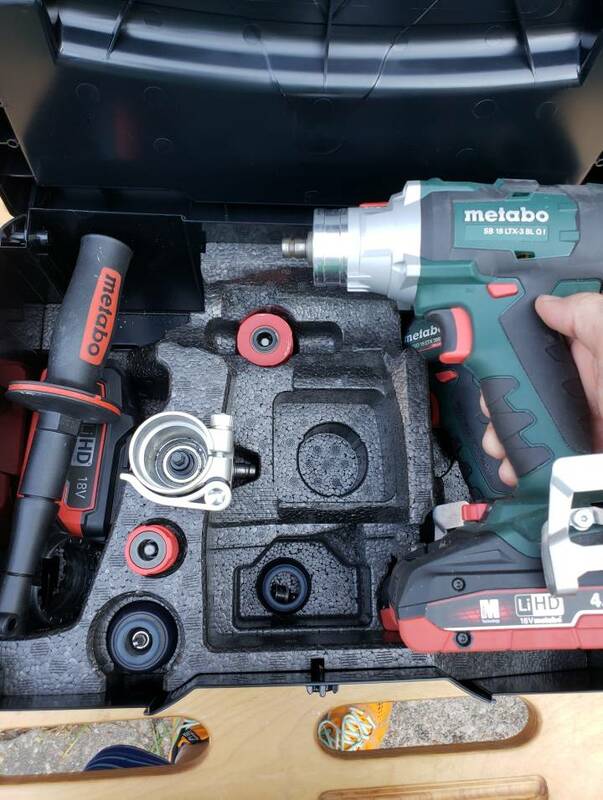 I also have my drill/impact in a combi sys 2, without the storage lid though. I had my doubts about its durability but it's held up surprisingly well, knock on wood, and I think it's a big improvement on the old Husky cantilever box I was using. I like the yellow handle and yellow T-LOC...easy to pick out the Fluke packages from a distance. I also use different color T-LOC's to differentiate between gear from across the room. Easier than squinting at labels. Not sure why images are coming up sideways....sorry. Because of different standards. Some software ignores that one bit that says "rotate". If you then manually rotate it and then feed it to some other software that does recognize that rotate-bit... it will show wrong again. @coho10 the last photo where you have the ridgid trimmer is using a Sys 1? I also had that orientation problem. I'm using an iPhone and disable the flip rotation on it. Since, all my pictures comes in the right orientation. Mario, It's a sys 2. I wanted to leave a larger base attached, otherwise it would fit in a sys 1. Thank you! I have the same trimmer and you gave me the idea of have it in a systainer with all the accessories. I actually use the bag that was coming with the router and it became hard to fit everything in it. @Bartel Your Bosch kit looks great! The jigsaw seems to be much smaller than I thought, so now it’s tempting. Does it work well? Are the 10.8 and 12 batteries interchangeable? 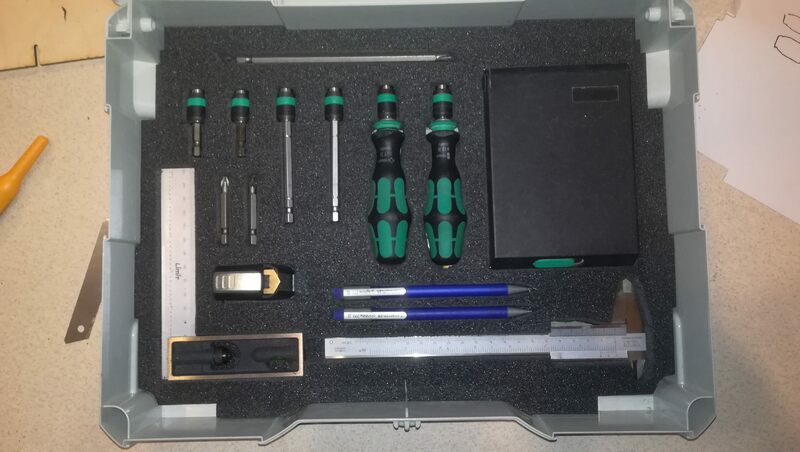 Does someone know if the lids for the Sys-Storage Box will fit the Sys-Toolbox 2 ? The clear lids? 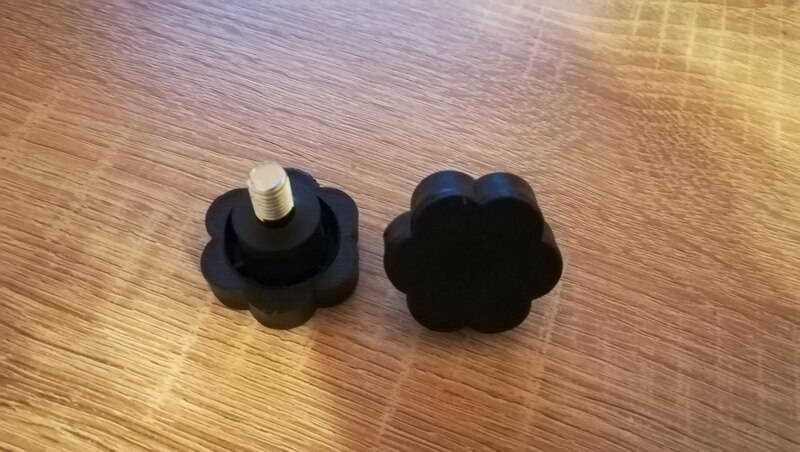 Not sure of the physical size would fit , it might, I have both and can check when I go to the shop. But you would need to come up with some type of hinge / attachment even if they would fit. But that could be worth exploring for added versatility. Though if you really needed larger closed space , a regular Systainer can do that job. Cool, good thing it is a flex head ratchet. Yes... it was a small struggle but I really like my flex head. I find myself using it a bunch. It looks doable. But would take some work. A vertical slot needs to be cut in each corner (easy), Some sort of screw or rod added to mount the lid. The center would still have quite a bit of open space under the handle. I did not take any measurements. 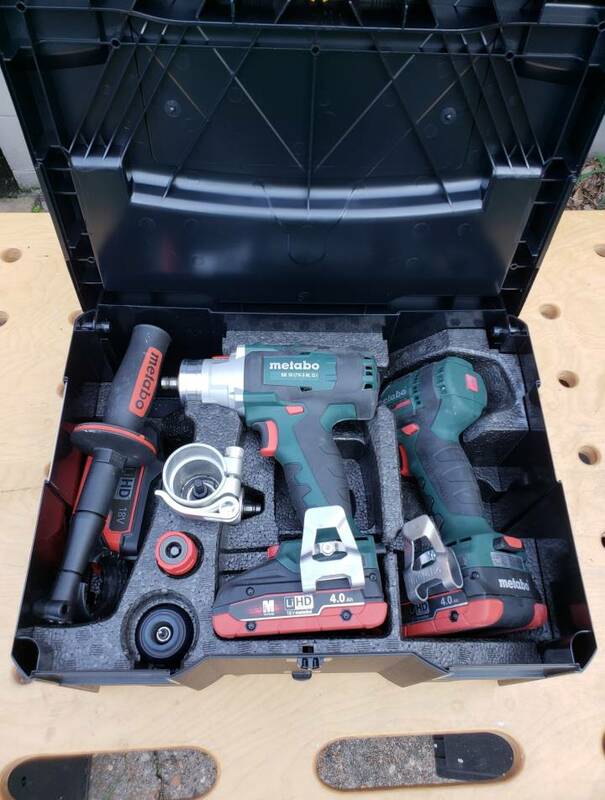 @Bartel Your Bosch kit looks great! The jigsaw seems to be much smaller than I thought, so now it’s tempting. Does it work well? Are the 10.8 and 12 batteries interchangeable? Yes, the Bosch GST performs quite well for its size (and price). Mostly I just use it on site for a quick cut out. Indeed, the batteries are interchangeable. However, in an older model charger, the 12V 4.0 Ah batterie takes much longer to charge than in a recent model. A few more. If it fits in a systainer, then it should be in one. Add a piece of Kaisan foam and all the accessories for that tool too. Less trips to the truck. Thanks Seth for checking that. 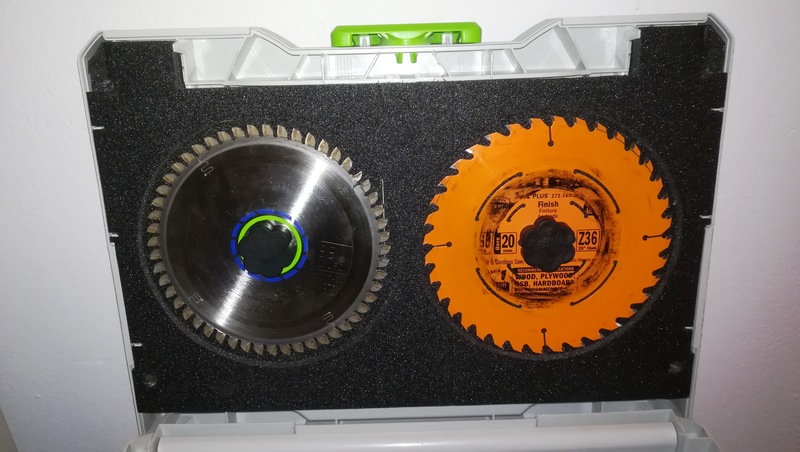 I would like to use the toolbox but have a lid to keep the dust (or most of it) out of my hand tools. I may give this a try. I didn't take any measurements and certainty of success is not guaranteed. If you try it post it! I like the blue tooth speaker, got any pics of inside ? Lol that's my fault that one. I know the Insane Dane and while chatting one day I said why didn't he attempt a full size systainer version of that micro sys tank that we had seen. Being completely mad he loves a challenge and this was the resulting video. thanks Mario - I found this vid helpful for putting my Senco pc1010 in a sys4. Yes i cut the Kaizen foam to fit it. I still have the bulky hard case that came with it that doesn’t stack or store well. I made the labels and printed them and laminated them. Two sets of Wera nut drivers (metric and Imperial) on FastCap Kaizen foam bed. Blocks of Kaizen foam glued to the bed make up the dividers that hold the nut drivers in place. That look pretty cool. Good idea gluing the dividers. My version of a `quick and dirty` SYS-air. The first pic is just the unit with the lid open showing guns & hose. Usually there is a bottle of glue in there as well. Second pic is a more unobstructed view. 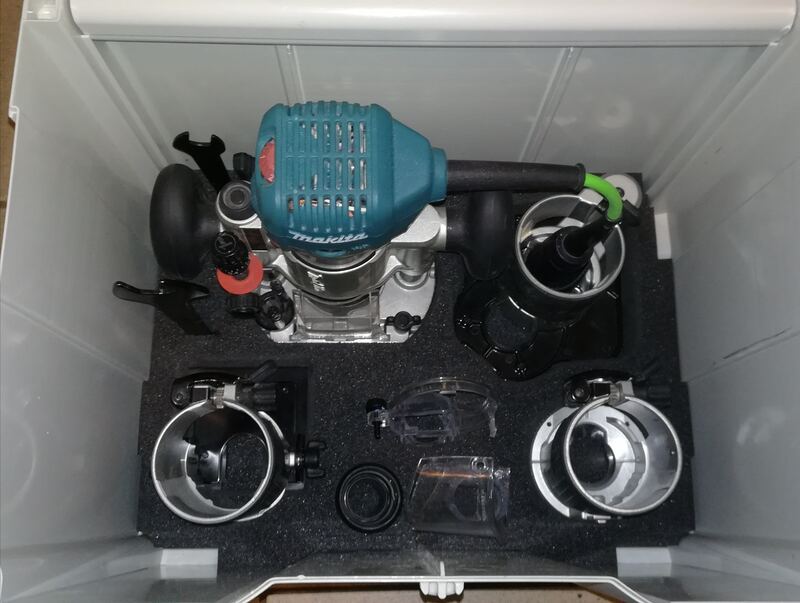 It also shows the `divit` where the hose and the power cord lead out with the ability to close the lid. That divit was due to a mishap on the jobsite which later proved to be fortunate. The third pic shows the modification to the compressor to allow it to sit on its 4 feet. The modification was to remove about 1 to 1 1/2 inches of tubing from the frame. I can't remember for sure, but I think I also turned the motor 180 laterally on it's mounts so the starter capacitor would clear the tank. Unmodified is still fit in the systainer, but rather sloppily and as a result made the unit made a ton of noise. This is just a 1 gallon Senco compressor i picked up at the cheapo-depot as my prior systainer version had blown it's reeds with replacements no longer available. Yes, I can and generally do, run this with the lid closed. Helps keep the crud out of the box and makes it quieter. It has only popped the thermal one time. My guy was running speed base on a 90 degree day with the lid closed. Nothing but nailing, everything had been pre-cut and dry fitted already. in a systainer or out of one, this little compressor was never intended to run a 15 gauge gun at that production level as it only 30% duty cycle if I remember correctly. He thought he burned it up but it was just the thermal breaker. He admitted that the unit hd not been keeping up with him. And yes, I/we have more appropriate compressors for that. 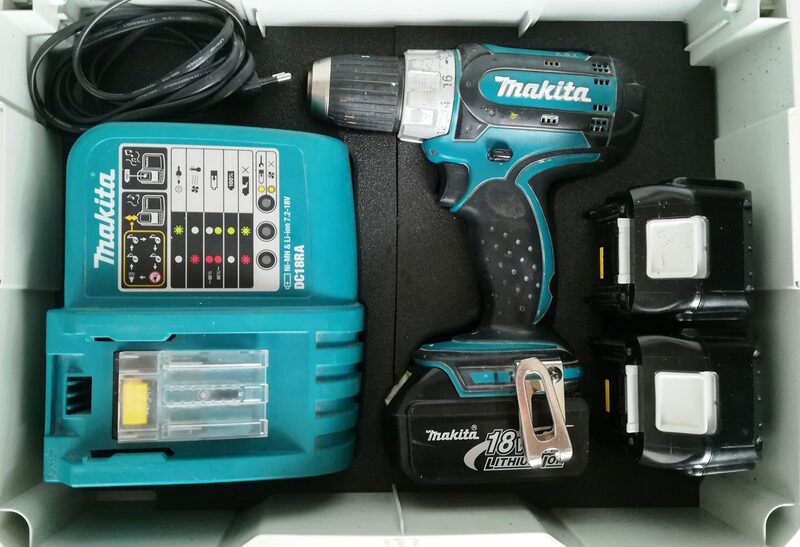 Here is my Milwaukee impact with battery, charger, torque sticks, and sockets for wheel removal. This is going with me when we travel in the Fifth wheel during the summer. 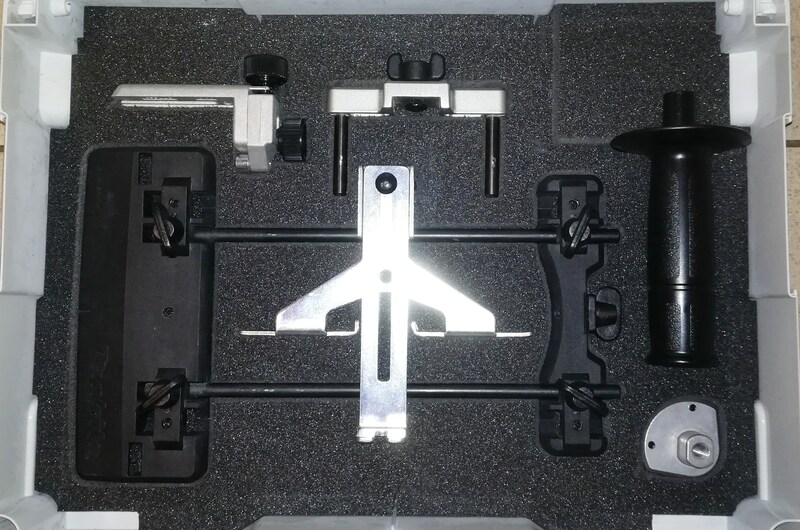 Here is my solution for my Sys Toolbox. This has worked pretty well for me. 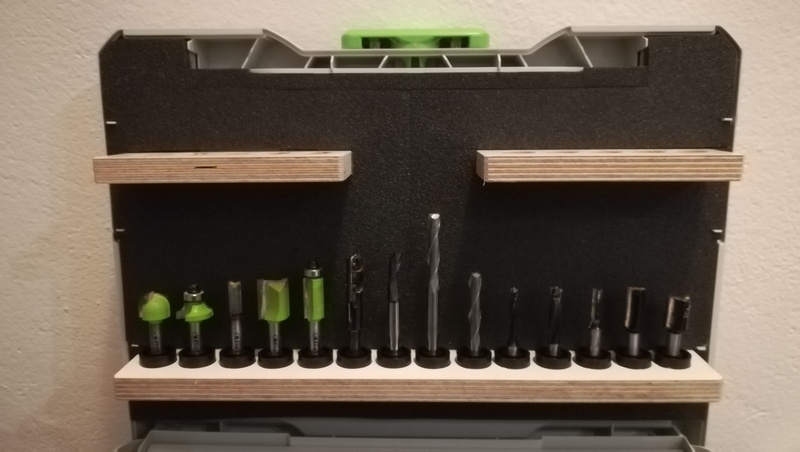 It may not be what you want but it may give someone some inspiration to help solve their tool storage issues. I use mine in the shop but have taken it to the job site a few times. I simply took an old bucket organizer I had from Home Depot, if I remember correctly, I think I paid about $7. I cut it apart and used pop rivets to attach it. I may have used a few small bolts (10-32) to reinforce it. I have inside loops for tools and a lot of pockets. It can be removed if I ever decide I don't like it or need it anymore but I have been using it for about 2 years and it is quite handy. I can move it to where I am working and have all my most used tools within easy reach. This is not a systainer post directly. I was modifying one of my systainers and I found this file underneath the plastic insert. Most likely from packing. 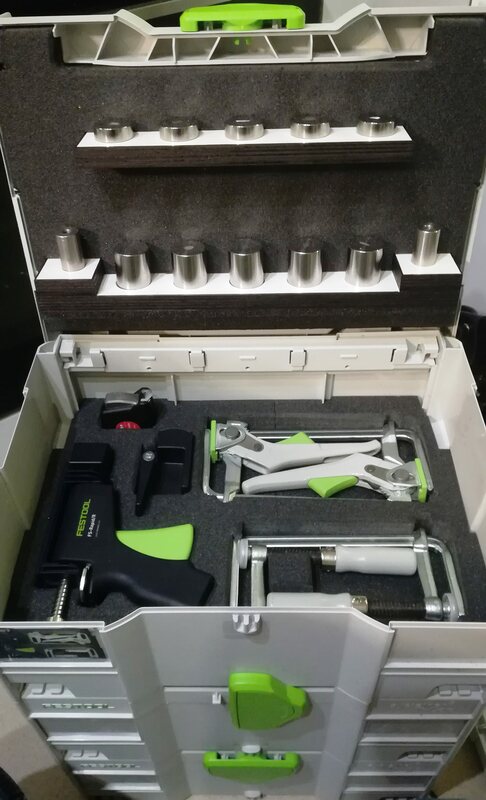 Kind of neat for festool swag. The only thing I have gotten from Festool for free. A toolbox. Warning - these things take bloody ages. Nice thread guys, Fingerlicking and very OCD friendly. I made this insert for my beloved OF 1010. The router is now laying correctly (rather than reversed). Next time I will use thinner plywood. For the rest I'm very happy. Of course, this is 1% necessary and 99% fun. How about a little show and tell....looks like you have an great idea under there.